Fortress town. 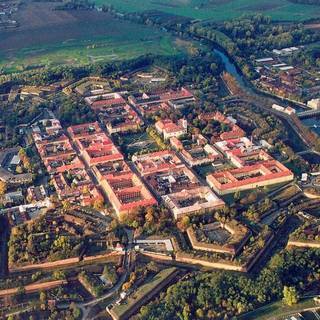 Founded in 1770 by emperor Josef II as a part of the deffence systém of the kingdom. 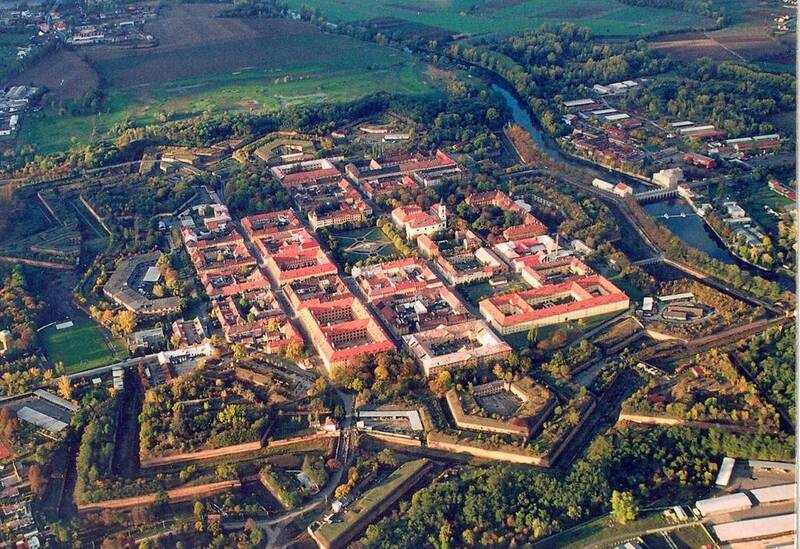 It represents a perfect example of fortification constructions by the end of 18th century. During WWII part of the fortress (The Small Fort) served as a Jewish Ghetto. Today the Fortress is a nazi persecution victims memorial. The town itself lays by the Eger (Ohře) river.